BRYAN EATON/Staff photo. 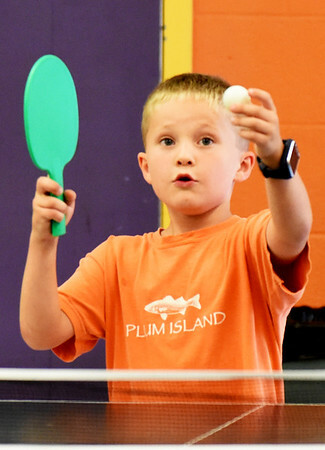 Nathan Rollins, 6, of Merrimac readies for a serve in a ping pong game with Otto Severino, 7, of Newburyport on Monday afternoon. They were at the Boys and Girls Club in Salisbury where all activities were inside due to the rain.